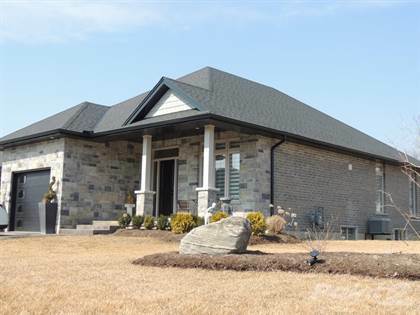 Absolutely gorgeous home in a very desirable location of Port Dover! This 1 year new home shows like a magazine feature page, with many custom details such as a 10'X4' island with a quartz countertop, hardwood floors and open concept - great for entertaining. Main fl Master with beautiful ensuite and larger walk in closet. 2nd bedroom and conviently located laundry also on the main level. The lower level is being finished as you read this! Too many upgrades to mention here. Come see for yourself, you won't be disappointed!! Hi, I'd like to find out more information about 58 Magnolia Drive. Thanks so much!